HL7 is a standard for health information systems. The 2.x versions of the standards, which support clinical practice and the management, delivery, and evaluation of health services, are the most commonly used in the world. 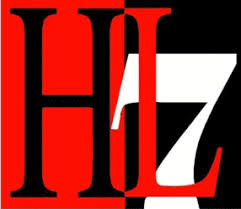 Zoodata staff were among the first in Australia to become accredited HL7 practitioners. Zoodata is a Western Australian Local Government Association (WALGA) Preferred Supplier and were inaugural members of the ICT services contract. Zoodata is a recognised supplier to the Western Australian Government sector under the CUA ICT 2015. We have been trusted ICT Suppliers to the WA State Government under this panel's predecessors since 1996. In 2017 Zoodata was selected by the Northern Territory Department of Health as one of only a handful of Digital consultancies to supply development and consulting services under the new ICT Health Panel. Zoodata was accredited in August 2016 as a recognised supplier to the Australian Commonwealth Government sector. Zoodata has achieved the Microsoft Partner Silver Application Development and Windows and Devices Competency. WA Leaders has worked with the State's leading private companies to enable them to maximise their opportunities, and develop strong relationships. Zoodata is proud to be an Executive Member.